Weather: Warm and Humid 74 Degree start rising to a scorching 92 degrees with Bright sunshine. 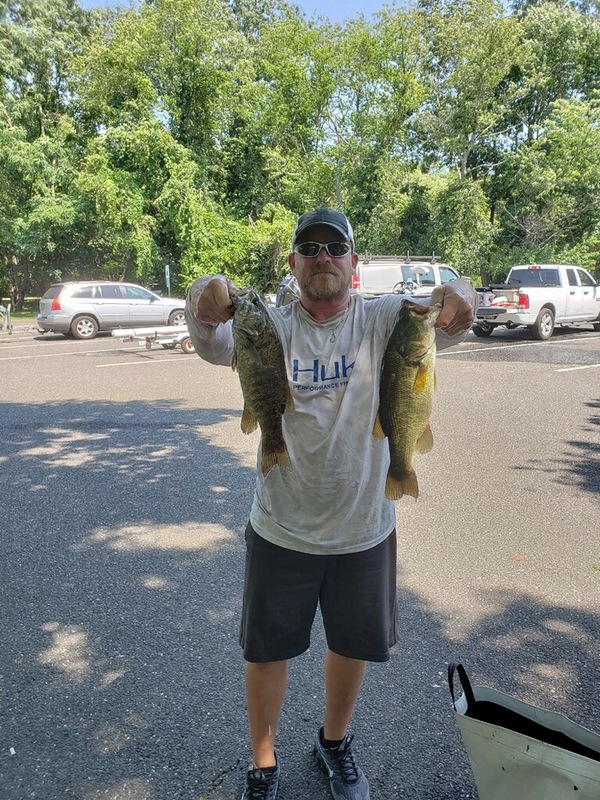 Today, 10 SJHT members ventured up to the various species of fish located at the MANASQUAN RES. 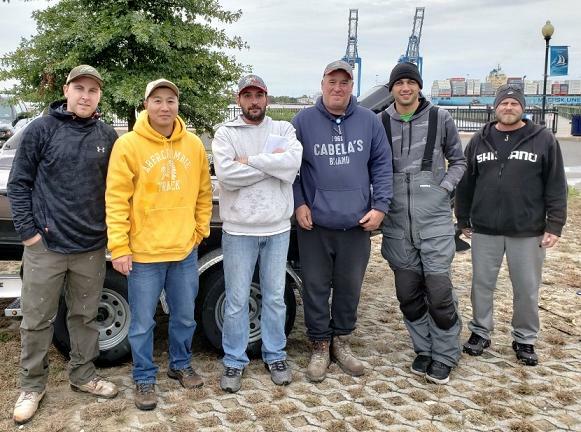 With props removed, boat ramp launch paid, and anglers ready to get it on, they headed in different directions. Since i was a bit under the weather, this is what i visualized in La La land. Lol! 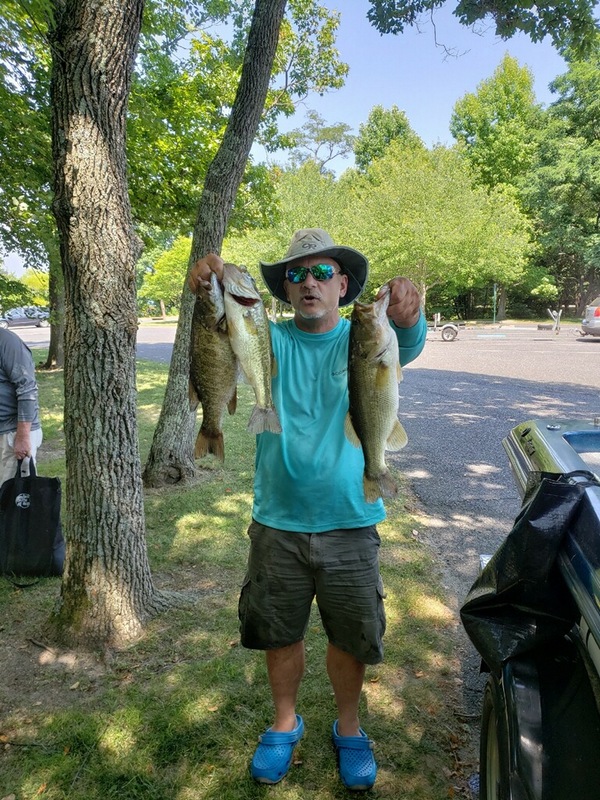 Alright....Without further adieu.....coming off his teams 2nd place finish at last weeks Mercer Lake Tag Team event, the Fu Man got back in his winning streak by weighing in 3 Bass going 8.54lbs with .50lb dead fish penalty. Jackson's lunker went 4.47lbs. 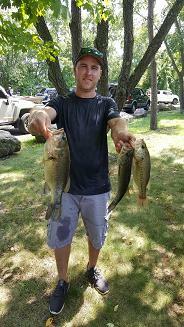 2nd place was won by 1/2 of the Tag Team Duo Bill *Trooper* I'm still on a roll" C. [/b] with 3 Bass weighing 6.86lbs. 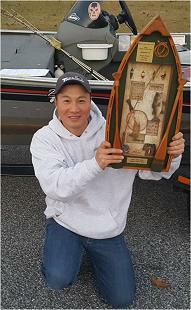 3rd Place was won by Andy Trapper . with 3 Bass going 5.22lbs. Trappers lunker went 3.53lbs. 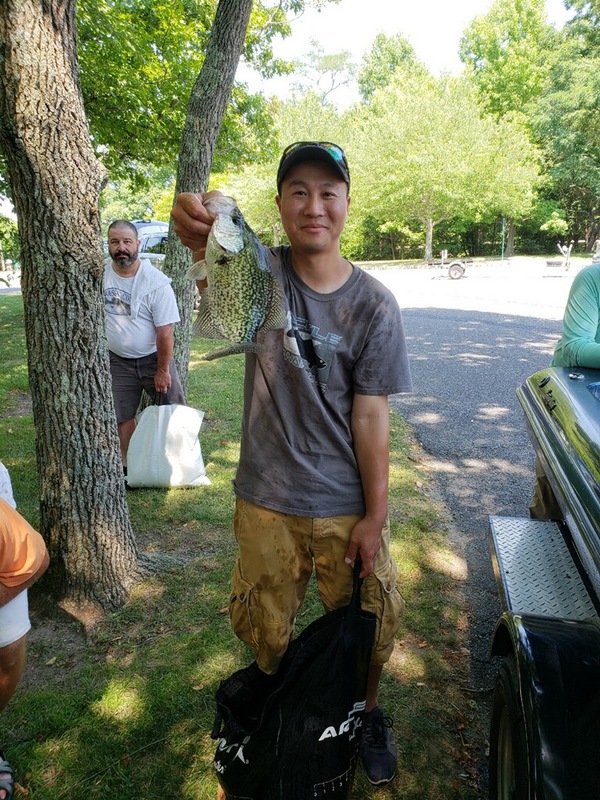 The Miscellaneous pot was won by John P. with a 1.36lb Crappie. 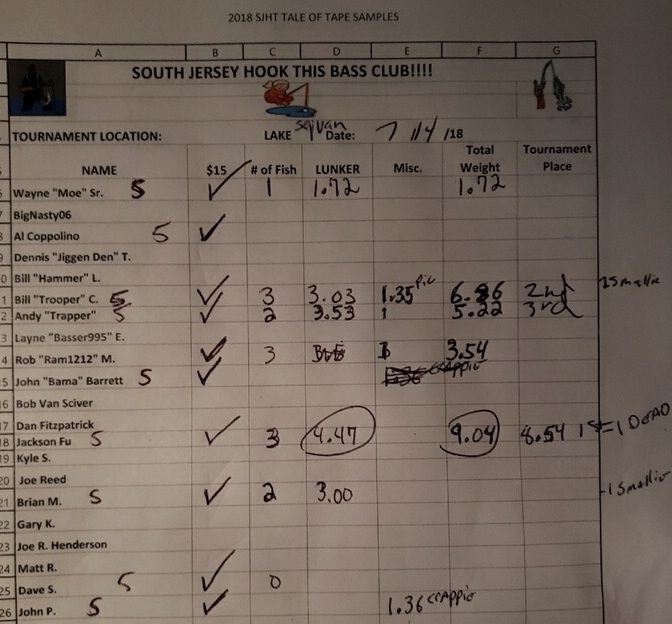 Summary: 6 out of 10 Anglers caught at least 1 Bass. 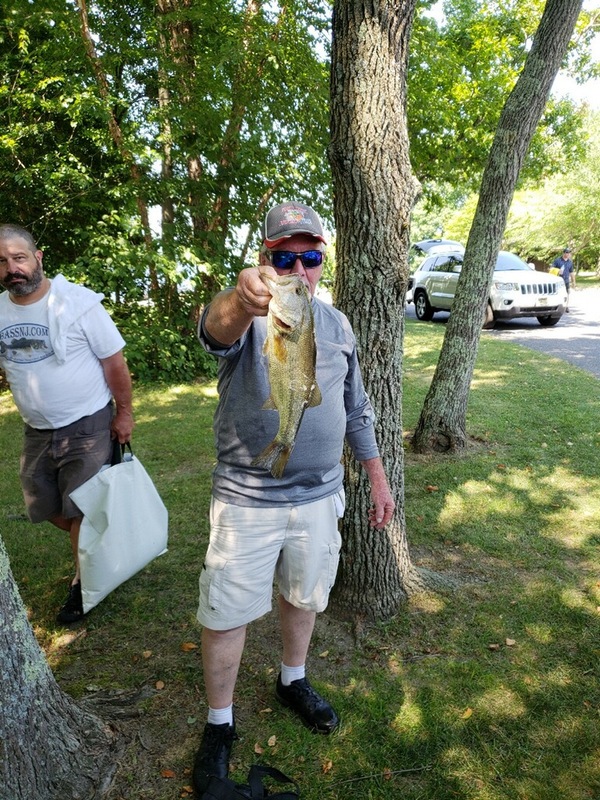 There were a total of 14 Bass caught overall giving way to a total of 29.38 lbs. The avg. 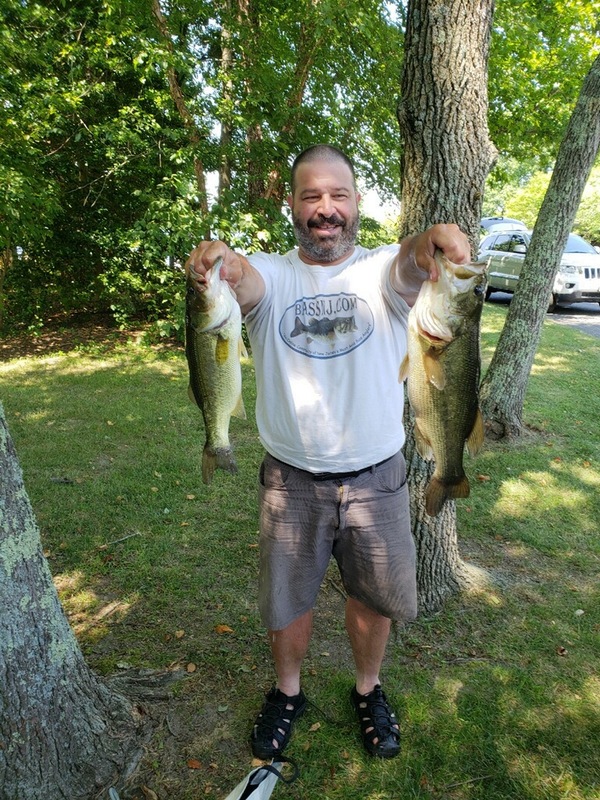 weight of each Bass went 2.10lbs. 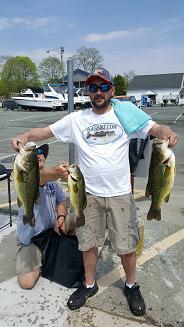 There were 3 Limits caught and 2 anglers caught at least 2 Bass. Congrats Jackson. Nice sack of fish! Nice bag Jackson! congrats on win! Yeah yeah, nice job Jackson on your .26, lol. I think it was the same margin after stone tavern last year.